Thursday 29th of November, at Emerce Finance 2018 ‘partnership’ was the key word. Many banks are seeing the wisdom of embracing the dynamic nature of Fintechs and partner up with them, instead of competing with them. Ultimately, partnerships between banks and Fintechs are creating a unique opportunity to add real value for customers. But adding value is not only about collaborating with Fintechs. It can also be about finding the right digital partner. 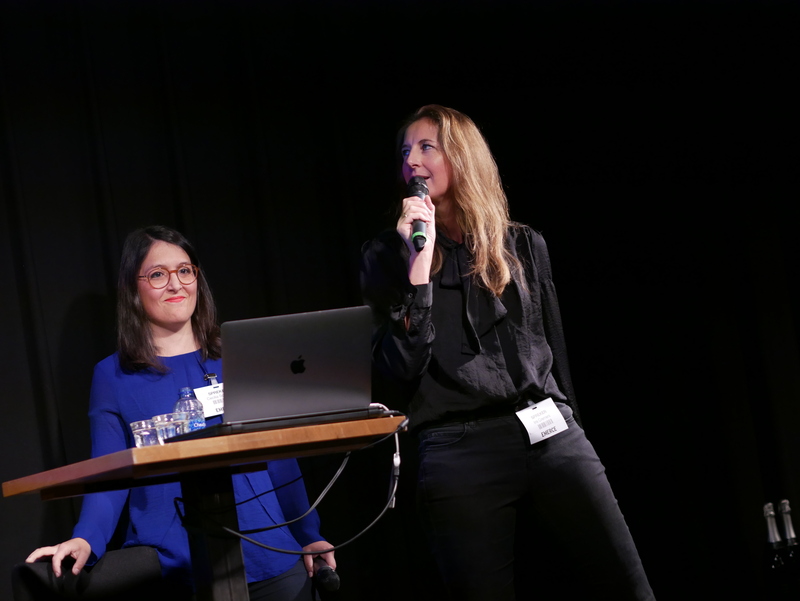 Iris Cremers (Head of Digital & Client Experience at ING Wholesale Banking) and Cecilia Scolaro (Creative Consultant at Mirabeau) shared how ING WB collaborated with Mirabeau to create a new digital strategy based on foundational research. A project I also worked on by the way ;-). 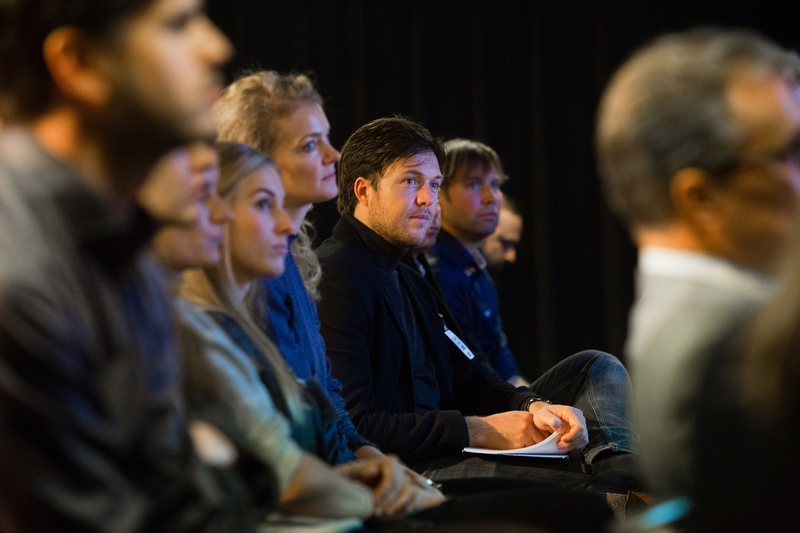 The talk focused on the way of working and how we used foundational research to develop a holistic digital strategy. Cecilia and Iris started off explaining the complex landscape we had to capture at the beginning of this project. ING Wholesale Banking serves big corporations and financial institutions, therefore its users are all financial professionals; from operational staff to CFOs – not all very digital savvy. We started researching the needs of real-life customers, as humans rather than organizations, looking at their deeper needs, intrinsic motivation (see Foundational Research) beyond the current digital landscape. "We need to look beyond the current digital landscape and to the needs of the real-life customer"
Investigating ING priorities and the market gave us a better perspective on where we could add real value with digital solutions. From all the qualitative insights we have collected (+830 insights! ), we derived some recurring themes. We used those as our value proposition: what the digital tools would have to deliver to the end user in order to add value. The value proposition (and the research behind it), was the basis for evaluating the current digital landscape and ideating of new solutions. This way we could design the new digital landscape, create prototypes and MVPs and develop an implementation plan, where all decisions where deeply rooted in the findings of the research phase, and therefore to the customer and its needs. This way of working reflects Mirabeau’s philosophy and came to life thanks to the partnership with ING WB and their shared view on the importance of research not only as a one-off exercise but as a tool for execution and iteration of digital solutions. The Swedish Fintech startup Tink and ABN AMRO are another perfect example of how partnerships can work out. They started their relationship a couple of years ago. Daniel Kjéllen (CEO, Tink) told how surprised he was that ABN AMRO got in touch with him, as Fintechs were considered the ‘enemy’ in the crisis years. The mindset in the crisis years was that Fintech emerged as a reaction to a culture that led to the crisis in the first place. This culture was perceived to be embodied by old school banks like ABN AMRO. Fintech startups started out as rivals of traditional banks. They were planning to be become a ‘bank replacement’ rather than a ‘bank partner’. This kind of rivalry between Fintech startups and traditional banks has evaporated over the last few years, to an extent that more and more partnerships rise up. In any case, Frank Verkerk (CDO, ABN AMRO) did not hesitate to give Daniel a call and together they created ‘Grip’, an app to increase financial insights for ABN AMRO’s customers. By collaborating, Tink could increase the number of their users from a couple of hundreds of thousands back in Sweden, to millions. It would not have been easy for Tink to reach those numbers independently, so it turned out to be a win-win situation for both ABN AMRO and Tink: without Tink, ABN AMRO would have never been able to offer these functionalities to their customers and to match the expectations that customers nowadays have. Conversely, Tink would never have had the same kind of exposure, growth and financial revenues without ABN AMRO. Partnerships between fintech’s and banks, between financials themselves and between digital agencies and financials: all of these are essential in order to keep up the pace of an industry that is dictated by the consumer. During Emerce #Finance18 it became clear that nobody, not even the big banks, can transform all by themselves. They need all the help they can get. The good news is that help is available and adds incredible value!